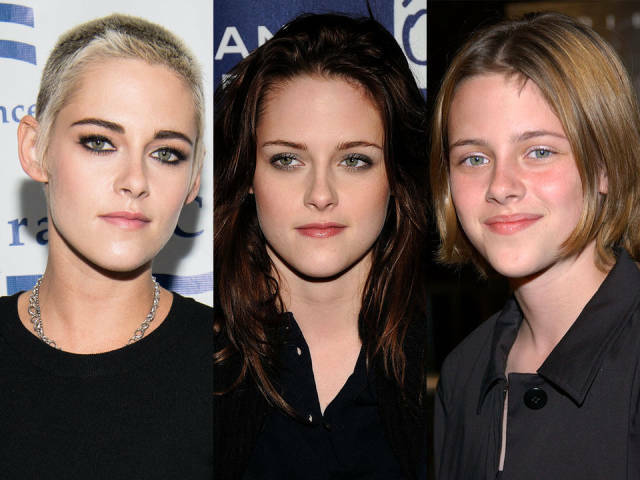 Kristen Stewart is no stranger to changing her hair — from shaving it off to dyeing it different colors — but though she often rocks brown locks, she's a natural dirty blonde. Scarlett Johansson is known for her blonde hair, but she's naturally a bit darker brown. 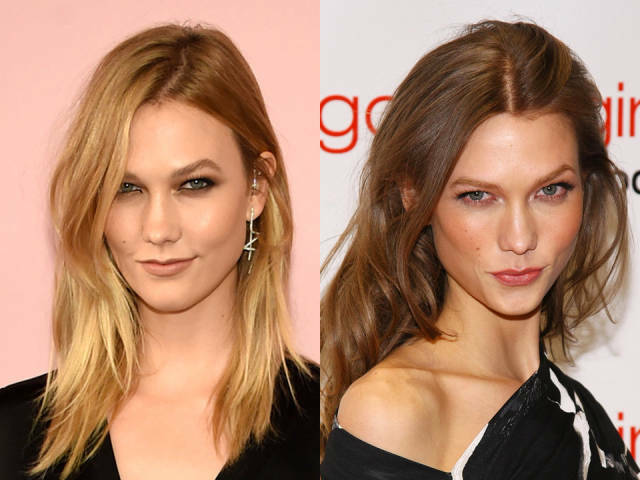 Karlie Kloss went blonde in 2014 and hasn't looked back to her brunette days. Leighton Meester had to dye her blonde hair brown for "Gossip Girl," but now she's back to her normal color. 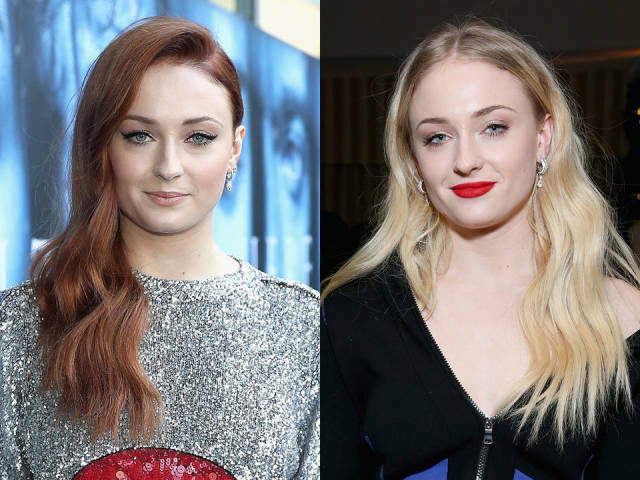 Sophie Turner has been dyeing her natural blonde hair a reddish hue since being cast as Sansa Stark on "Game of Thrones." 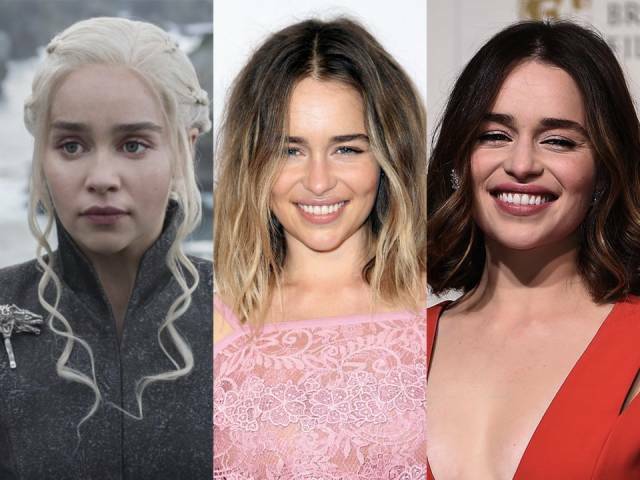 "Game of Thrones" fans know Emilia Clarke as the platinum-haired Daenerys Targaryen, but the actress is a natural brunette, though she does sometimes add some blonde ombré and highlights to her hair. 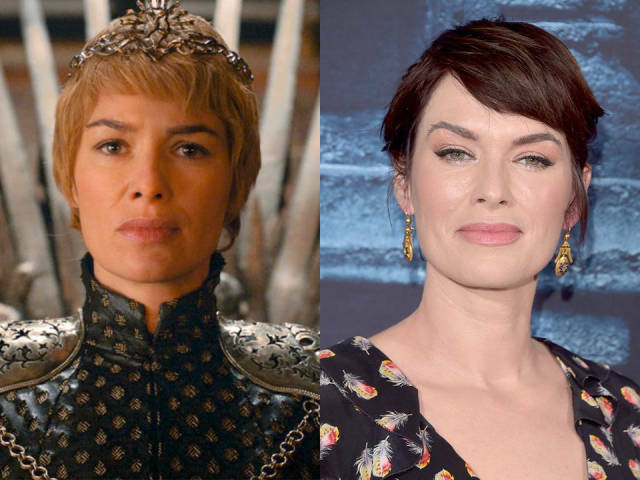 As Cersei on "Game of Thrones," Lena Headey rocks golden locks, but she's naturally a dark brunette. Sofia Vergara may rock the brunette look, but she's a natural blonde. 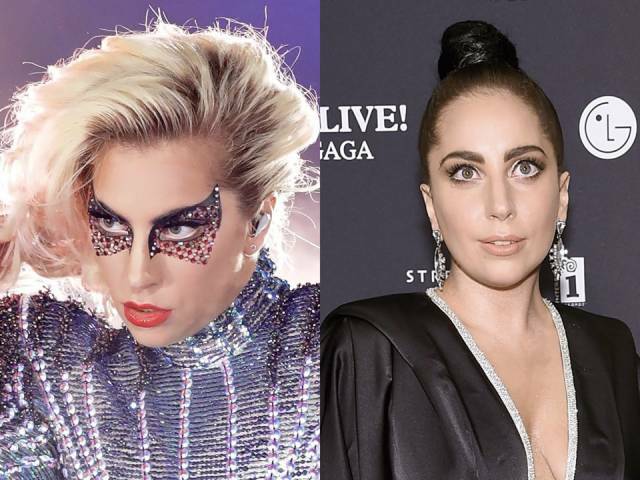 Lady Gaga is another artist who chooses to wear her hair blonde — sometimes with wigs — instead of her natural brown. 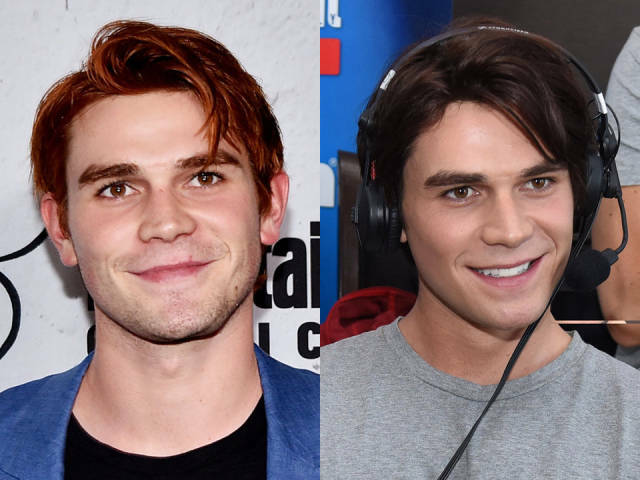 "Riverdale" star KJ Apa dyes his dark brown hair red to play Archie. Amy Adams has had red hair for what seems like forever, but the actress is really blonde. Olivia Wilde often sports brown hair, but she's another natural blonde. 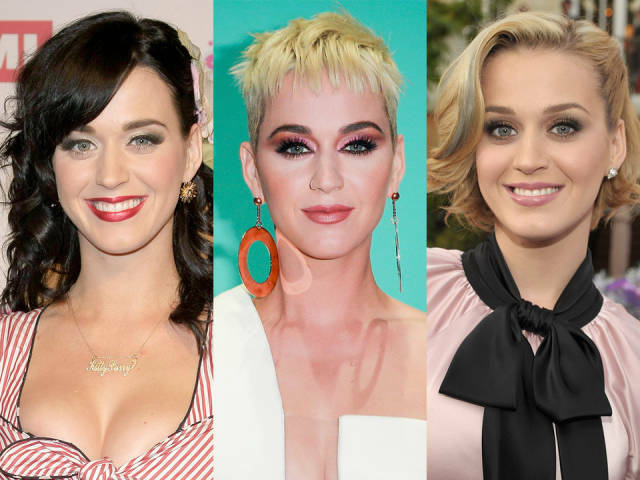 When Katy Perry first made it big, she rocked black hair and has since changed her hair — also using wigs — so much that it's hard to keep track of what her natural hair is, but it's a light blonde-brown mix. 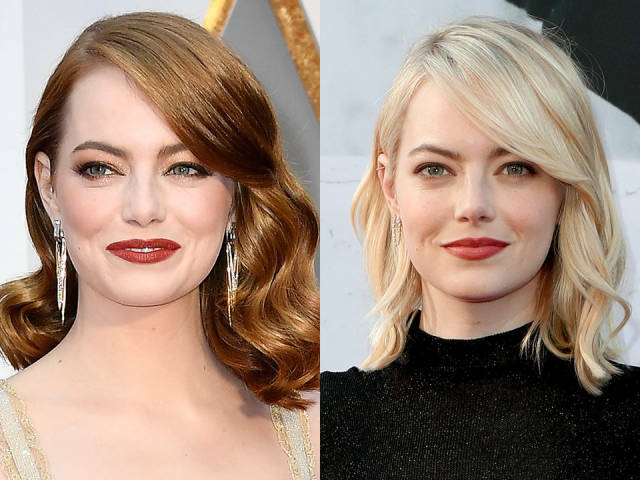 Her most recent look is a blonde pixie. Jessica Simpson has been blonde for years, but the singer is a natural brunette. 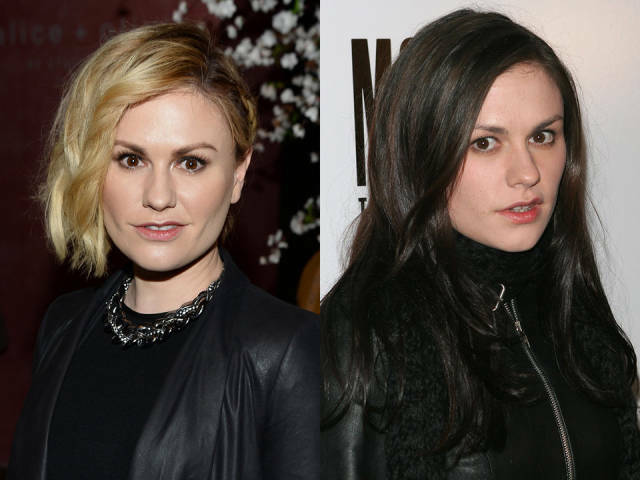 Anna Paquin has generally had blonde hair since her role as Sookie on "True Blood," but her natural color is a lot darker. Rachel McAdams got her break as the blonde Regina George in "Mean Girls," but she is a natural brunette. 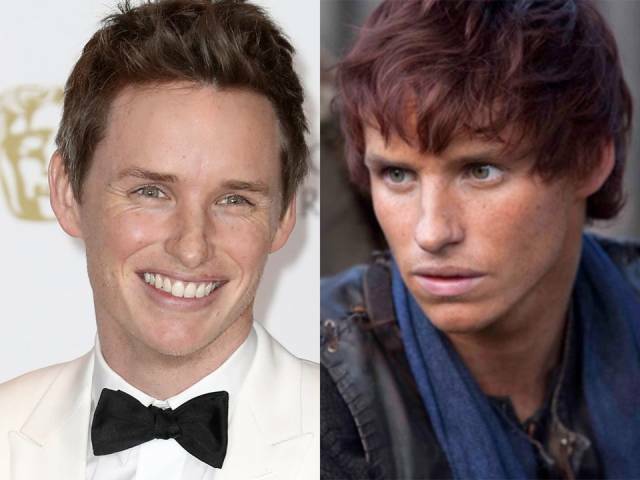 Some people mistake Eddie Redmayne for a redhead after he had to dye his hair for "Pillars of the Earth," but he is brunette. 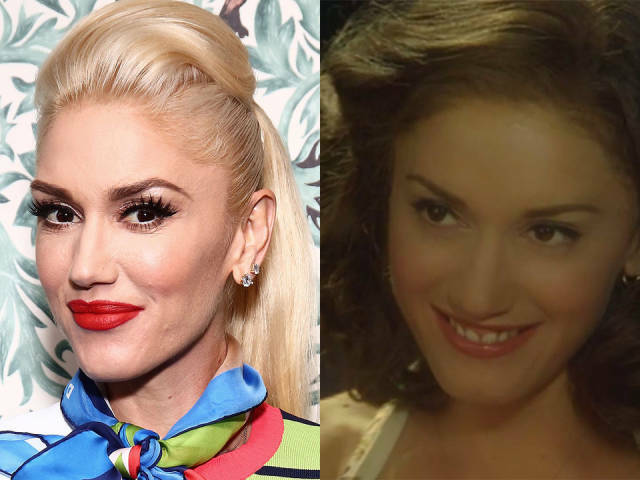 In over 20 years Gwen Stefani's hair hasn't been anything but platinum, but she's actually a natural brunette. 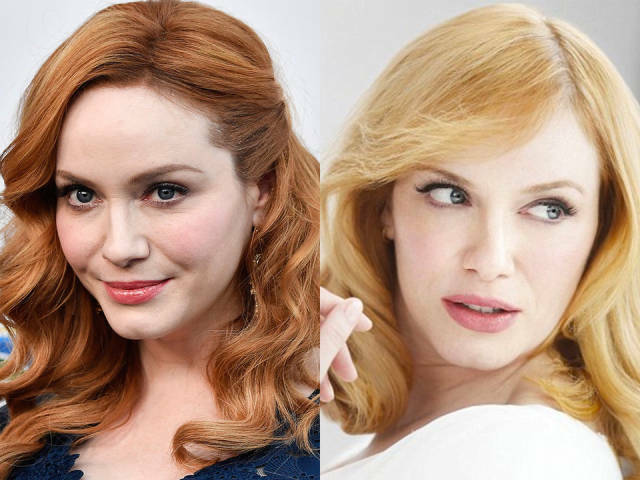 Christina Hendricks first went red when she was 10, even though she's naturally blonde. 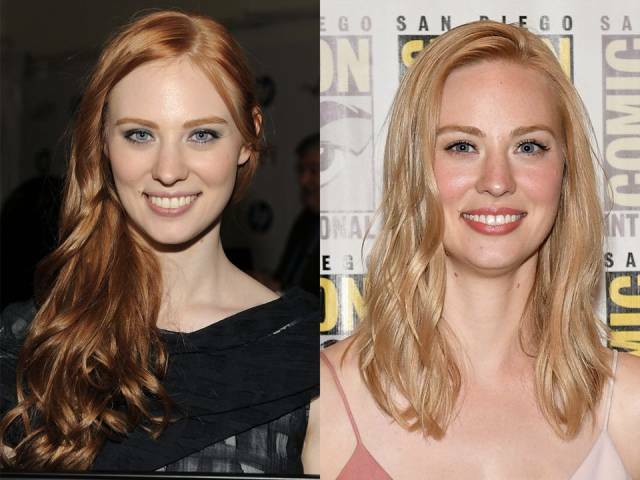 Deborah Ann Woll rocked red hair on "True Blood," but she's a natural blonde. Mandy Moore was blonde when she started her career, but switched to brown hair for "A Walk to Remember," and it stuck. Laura Prepon has rocked black and blonde hair, but she's a natural redhead like her "That '70s Show" character. 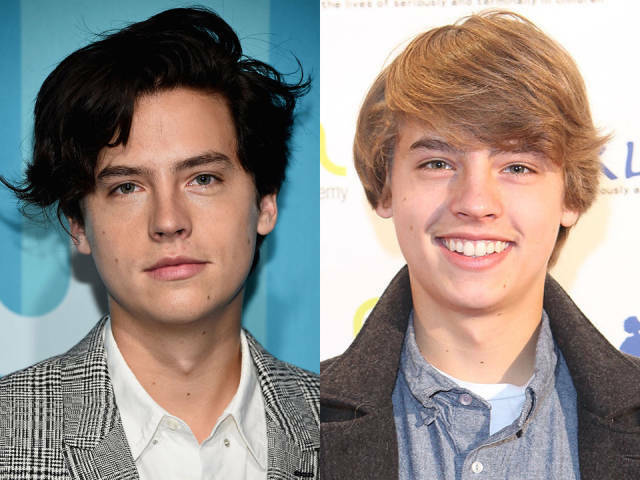 OK, fans of Cole Sprouse won't find his natural blonde as a surprise, but for those who only know him on "Riverdale," the actor's dark hair isn't his real color. 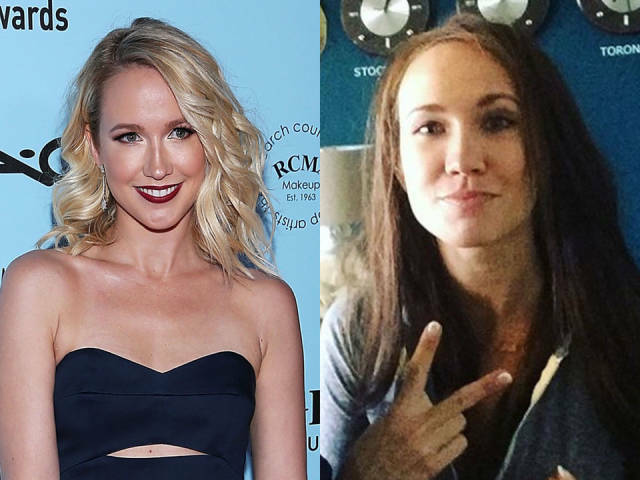 "Pitch Perfect" star Anna Camp rocks blonde hair, but she's a natural brunette (though this photo is her in a wig). "Pitch Perfect" star Brittany Snow is naturally a darker mix of blonde and brown, but she has rocked every shade from platinum blonde to red. 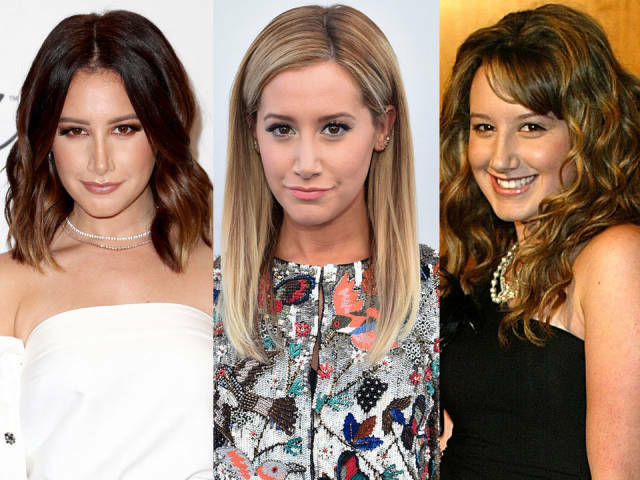 Ashley Tisdale rose to fame as the blonde Sharpay in "High School Musical," but her natural color is darker. 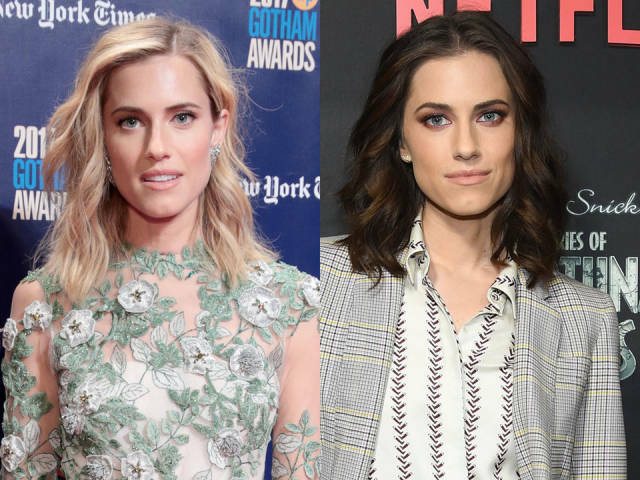 Allison Williams is back to rocking her natural brown hair, but she was blonde for a time. 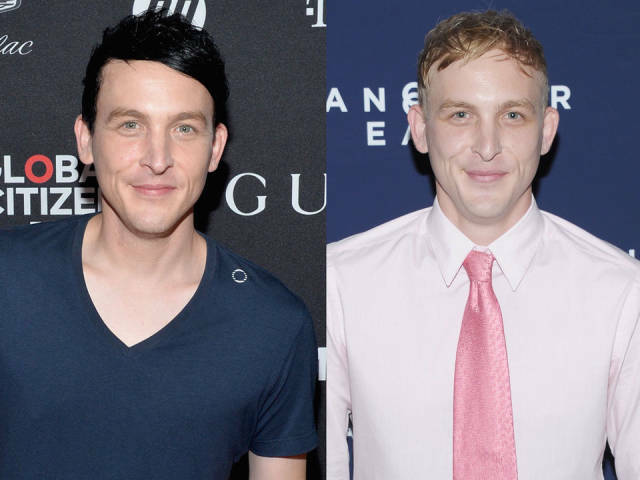 Robin Lord Taylor dyes his hair jet black to play Oswald Cobblepot on "Gotham," but he's a natural blonde. 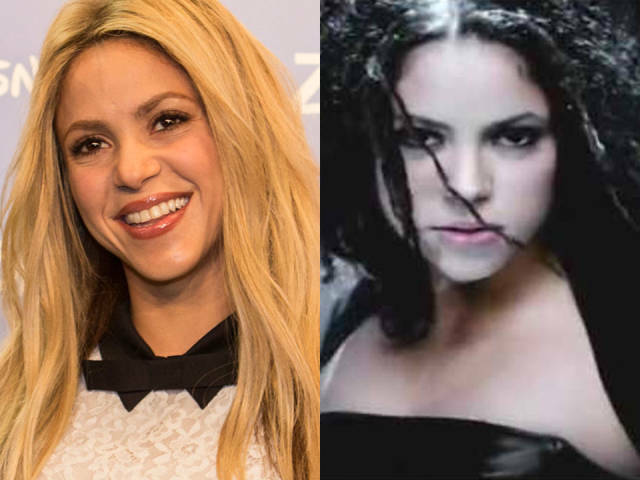 Shakira has been blonde since 2000, but the singer's natural hair is a dark black.